I like to compare our training for CMM to the training of a Jedi Warrior from the movie, Star Wars. We learn to fight yes, but we also learn other more enlightened things to make us better people. We have theological teachers who teach from the Bible. We learn to humble ourselves, to love one another and even when we fall short, we look to GOD, who never fails. The important thing about it is, being better people first will make us better Warriors in the end. The study of theology, philosophy and other forms of higher learning will help to perfect our fighting and effectiveness. We learn that surviving is a form of winning. If we can out live our opponent by having better survival skills, then we have won a battle without doing any violence or risking injury. We learn to be politically active. Our political advisor, Cheramie Kay Bills keeps up with everything and everyone at the Capitol. When an important vote is coming up, when we need to call our representatives and what we need to say are passed down from the political team. 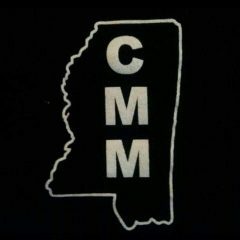 Many times CMM has swayed votes back and forth the way the people of Mississippi need them to be. CMM is working very hard in trying to do everything to keep the laws and rules of Mississippi as they should be, close to the way they were when we grew up. We don’t have mind tricks, but what we are armed with is the truth and knowledge about legislation that you just can’t get from watching the news. So keep on learning, and may the force be with you. Author AdministratorPosted on November 13, 2017 Categories Uncategorized6 Comments on Jedi Warriors? I have a question for everyone. HAVE YOU PURCHASED YOUR TACTICAL RADIO YET? You haven’t! What are you waiting on? It is going to be too late to get one when a situation arises. It’s in-expensive and, in fact, the prices range from about $30 to $400 dollars. While I have several of these $30+ radios, I personally prefer one of the more expensive ones, but not required. You can go to places like www.amazon.com and www.ebay.com or maybe numerous other sites such as www.hamradio.com and other sites to look at different styles of radios and their prices. Before you ask about why the price range differences, let’s just say right now it’s a personal preference and what you are going to use it for. The more expensive, the more capabilities. That is a discussion for another article. 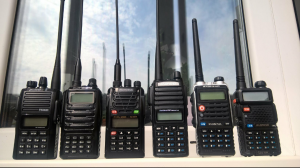 While many people use the Baofeng UV-5R, and it is presently still on the market, I would encourage you to look at the Baofeng UV-82C as a beginner portable. There are two totally different versions of the UV-82. The UV-82 and the UV-82C. The UV-82 is strictly a ham radio portable and the next generation of the UV-5R portable. Meaning, legally it can only be used in the ham radio band (frequencies) and not in the commercial frequencies range we might be using. Since the UV-82C is a ham radio portable just like the UV-82, it is legal to use this radio outside of the ham frequencies where we could be operating. The cost of the UV-82 is around $30 to $40 and the price for the UV-82C is ranging around $54 +/-. Why do I recommend the UV-82C? In laymen terms, it is simpler to use for the beginner or novice, especially in a deployment situation. It is designed to be used in the commercial world or environment, and in this environment, there are several features that are locked or prevented from everyday use. This makes it easier not to get confused in what mode you might be in or what frequency you are on. It is programmed with a computer, which isn’t a problem because the programming cable is available for about $10 or so and the programming software is free to download. Whatever you do, whatever you decide to purchase, don’t wait until you need it. Most importantly, know how to use it. A deployment or any emergency that arises is not the time to pull it out, look at it and figure out how to use it. Now that you have purchased your Tactical Radio, how are you going to use it? What accessories do you have or going to use with it? You ask, what accessories? Why do I need any accessories other than what comes with it? Let’s think about that for a minute. The radio comes with a charger and an ear piece. You won’t use the charger in the field, but will the ear piece. Look at the ear piece that came with your radio. It is basically not designed for a military operation or anything rougher than a mom and dad using it to communicate with while keeping up with kids. So now what do we need? That will depend on your mission or your job. If you are training and you won’t be using a vest or Plate carrier but you might have your battle belt, you might not need anything other than a holster to put your radio in to help protect it. I wouldn’t trust the belt clip that comes with it, especially if you might be crawling or rolling around on the ground. The belt clip is more for civilian operations or non-tactical operation. In this situation, you may or may not want a shoulder mic to go with it. A shoulder mic will allow you to put the speaker at your ear and talk through it while your radio stays safe in the holster. Otherwise, you will have to pull it out of the holster each time to talk on it. Also, everyone around could hear what was coming over your radio. What about the times you are working in public, doing security at a public event or just trying to blend in? The shoulder mic would give you a way. In this case, we may want to use a surveillance mic. The FBI, CIA and even secret service wear these all the time. It will also explain why you see them talking into their hand or their sleeve or even into their lapel. A clear tube comes out of your collar to your ear. The mic is routed to where it will work the best for your application, and the PTT (push to talk) button put where it will work the best. You will be wearing a jacket or some type of cover that should be big enough to hide your radio from public view. What about for tactical operations? What if we got deployed? This could be anything including hurricane or tornado details. What would you use in this case? First, it would be dependent on the type of equipment you will be wearing or the job you are performing. I will use myself in this case. Since I know what I have and, hopefully, it will make it easier to explain. For tactical operations, I would either be carrying my chest rig or my plate carrier vest. Presently, I carry my portable on my right strap in a holster next to my ear (I am left handed). Since it is located next to my ear, I don’t need a shoulder mic. The cord would be too long and in the way. But since I don’t want anyone to hear what is coming across my radio, I would use a listen only ear piece. Think of it as the old style ear phones we use to use on our old transistor radios in the day. It plugs into the earphone port and route the clear tub up to my ear. To talk, I turn my head (mouth) toward the radio, press the PTT on the side of the portable with my free hand and talk into the mic on the radio. There may be other tactical operations where your radio is not close to your ear or mouth, and this method could also be used for surveillance. It is the tactical throat mic. This works like the FBI style you see SWAT teams wearing and using. You have the clear tube going to your ear, but the mic or microphone is actually held firmly around your throat, close to your Adams-apple. The small PTT button can go where you can use it the best, from on your finger like a ring to what works best. Other tactical type systems you can consider is a bone mic. This is actually an earphone that has a special type of microphone in it. You put it in your ear like any other ear phone, but the microphone picks up the vibrations of your speech off the bones around your ear. This means you are basically listening and talking thru your ear. The PTT button is placed where you can use it the best. For me, I carry every one of these styles I have discussed, and I’m always looking to find something better or different. So, I want to ask again. Are you ready, communications wise, for the next deployment, operation, an event or even the next training? Not one solution will be right for everyone, and not one solution will be right for every event. Just like our equipment, it has to change as our operations change. Your radio and your accessories are, and should be, part of all your gear and not just when you think you might need it. You are only half prepared when you don’t have everything. Next time, I will discuss the different kinds of radios, their types and how they could benefit us in the future. Always, keep looking ahead, behind us is gone. Militia <Noun> A group of citizens, from within a community, who sacrifice their person, time, and fortune, to safeguard the community as a whole. Militia train and react to threats, whether physical, mental, or legal, and actively seek out solutions which will enable the community to live securely and peaceably. To start with, we’d like to thank you for taking the time to check out our blog, The Militia Minute! Find us at www.citizensmilitiaofmississippi.com/blog. The fact that you are interested tells us that you care about the future of our State. We do not presume that everyone will agree on every issue, and that is fine. We do however insist that everyones opinion be treated respectfully and that those opinions be delivered in a respectful manner. In other words, if you wouldn’t say it in front of your mother, don’t say it here. On this blog you will find articles submitted from militia members all over the State of Mississippi. Our intention is to give our membership a platform from which they can communicate, teach, and express their opinions to the general public. In reading their articles, you will find that they are just like you! Mothers, Fathers, sons and daughters, neighbors and coworkers, all come together to form the Citizens Militia of Mississippi and throughout each week, they work, educate, and train to defend, not only your rights, but your very freedom, if necessary. So read, engage, and if you like, submit your own article for review to, admin@citizensmilitiaofmississippi.com . We look forward to hearing from you. Any Fate But Submission.